Magic makes wishes become true: the customer asks for any service via mobile device, Magic as a mobil personal assistant and aggregator searches for it and delivers it to the customer. The initial idea of the founder, Mike Chen, and his team was to create a simple text messaging service to order food or a driver, in comparison to existing apps with a multi-step process. On a Saturday in February 2015, they developed a simple site, with a number to send a text message to, that would try to make your wish come true. The page was published in Product Hunt and everything after that was ”Magic“: the service went viral and the waiting list for the service to “get you anything you want” exploded. But competition is in sight: Operator is an app by Uber co-founder Garret Camp (not yet launched), that is carefully developed and covers the same service: Send a message asking for anything and they will do everything, including getting it delivered to you. 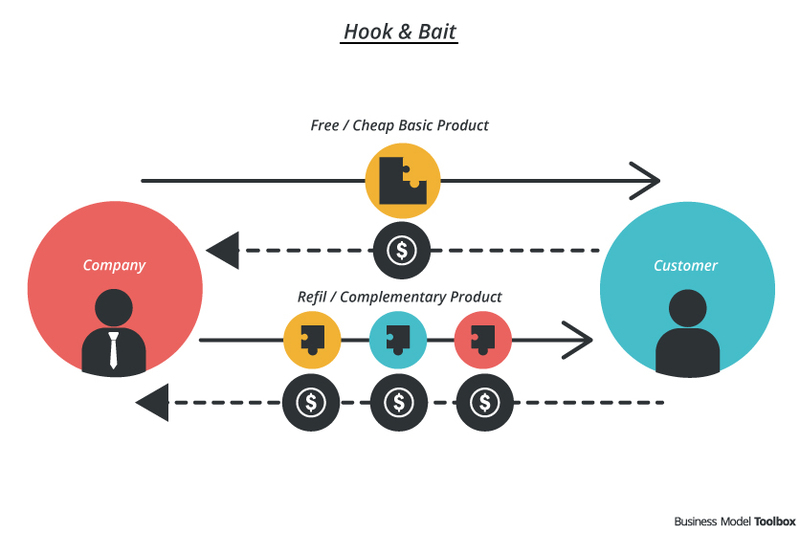 While Magic was only a side project put together over a weekend, Operator is intended to change commerce. A further clone of this concept is the Berlin-based GoButler. ”I would like to have….“ – this sentence is enough to trigger Magic to get it for you – as long as it is legal. All you have to do is send an SMS to Magic. A human operator will do the research and provide you with some options, and finally you only have to confirm and pay for the order. 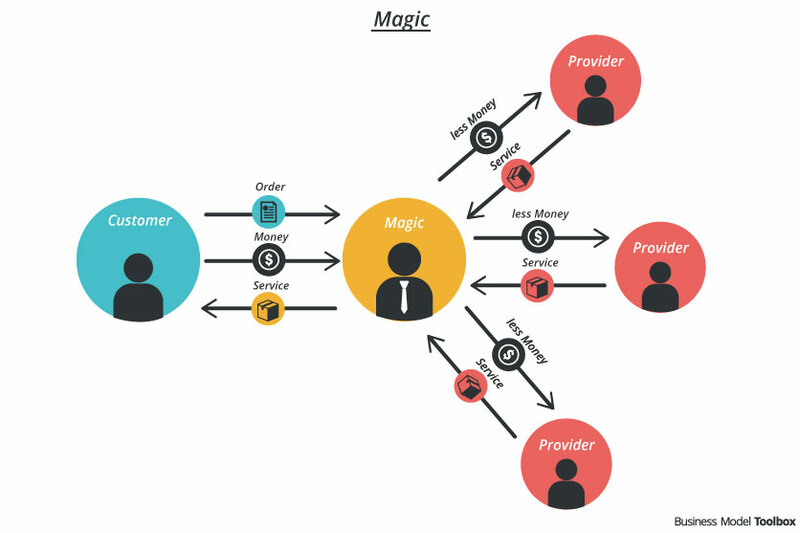 Magic operates as an aggregator for all services: it creates a logistics layer between customers and suppliers, by taking orders, figuring out who can fulfill them and calculating the prices. Magic charges a little extra, but as the service is still in its launching phase, until today there is no officially known overhead or fee that is added on the bill. Magic’s employees – the so called magicians – are there to handle the incoming orders and personally care for the fulfilment of the order and the information provided to the customer. They sometimes even care for the delivery themselves. UPDATE: MAGIC changed the Business Model Jan 1, 2016 to a service subscription model. The value proposition to the customer to “get you anything you want” is fixed, the big challenge is to clarify exactly how this is executed: fast and high-quality services are essential. The service is difficult to scale because with every new client more human operators are required in order to handle the increased volume of orders. This service can be offered in large cities with a dense infrastructure. The challenge is to make it available in more rural areas. You need to have service available at any time and no matter how many people ask for your service. This creates high fixed costs. Commitment to offer employees an adequate salary. This service might not only bring convenience to wealthy and lazy people, but also offer new possibilities to people who are bound to their homes for whatever reason. If the delivery is not done by employees, delivery people often only get a minimum wage and take all the risks themselves.